If there was relief and palpable excitement among Manchester United fans at the appointment of Ole Gunnar Solskjaer as manager, there might have been bemusement and maybe even disbelief at the club that will be the Norwegian’s first opponent this weekend. The last sighting of Solskjaer near a British soccer field was a little over four years ago when he was manager of Cardiff, then in England’s second tier. After a 1-0 home loss to Middlesbrough, Solskjaer’s team was booed off and within two days he was fired. 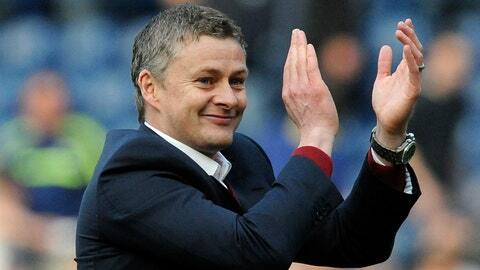 That ended a chaotic nine-month spell with Cardiff where Solskjaer won five of his 30 games in charge. In that period, the club was relegated from the Premier League, wasted millions in spending sprees in two transfer windows, and struggled in the League Championship despite having one of the strongest squads in the division. So imagine how Cardiff and its supporters will feel when Solskjaer returns to its Cardiff City stadium on Saturday as the manager of Britain’s most prestigious club. Of course, Solskjaer’s hiring by United is more of a symbolic decision — based on his achievements as a former striker at the club and the hope that his status alone will unite a dressing room fractured under Jose Mourinho — than a reward for his feats in coaching since retiring as a player in 2007. However, Solskjaer has been a success in two spells at Norwegian club Molde either side of that ill-fated stint at Cardiff. He won back-to-back league titles in his first two seasons and then the Norwegian Cup in his third. Upon returning there in 2015, somewhat chastened from his experience with Cardiff, Molde topped a Europa League group containing Ajax, Celtic, and Fenerbahce in his first season and has had second-place finishes in the league in the past two seasons. He is clearly held in higher regard there than at Cardiff. Cardiff fans might agree with those final sentiments. There was certainly no shortage of goals in Cardiff’s Premier League games under Solskjaer, although mostly for opposition teams. Liverpool won 6-3 in the Welsh capital, while Cardiff lost 4-0 against fellow strugglers Sunderland and Hull, and 3-0 to other lowly teams in Swansea, Crystal Palace, and Newcastle. Solskjaer will have a different class of player at his disposal at United, though, and a key part of his job will be to engender some belief and positivity that appeared to have disappeared in the final weeks under Mourinho. United executive vice chairman Ed Woodward spoke of Solskjaer needing to “unite” the dressing room. Solskjaer says much of his coaching philosophy came from playing under long-serving manager Alex Ferguson, explaining why he likes to play attacking football. That is what United fans want to see, too. Solskjaer said everyone is the squad “starts with a clean slate” and will “all get chances” over the busy Christmas period, when United plays five games in 15 days starting Saturday. Beat Cardiff — and that won’t be an easy task, as it has won four of its last five home games — and things quickly start to look up for United. Huddersfield, Bournemouth, and Newcastle are United’s other opponents over the festive period, with the first two visiting Old Trafford, where there is sure to be a great atmosphere. “Yeah, how long will that last?” Solskjaer said, laughing. To start with, United’s traditionally vocal away following is sure to give Solskjaer a rip-roaring reception as he emerges from the tunnel in Cardiff on Saturday. Whether Cardiff’s supporters are as kind to their former manager is debatable.